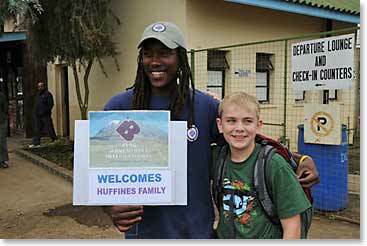 Kilimanjaro Dispatch: July 6, 2008 – Huffines Family Arrives in Africa! 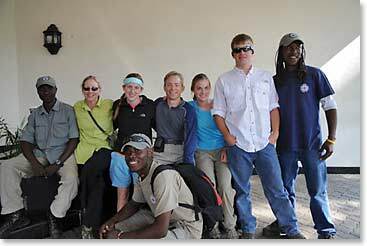 BAI guide, Frank, and Russell seemed to hit it off immediately after our plane landed at Arusha Airport. 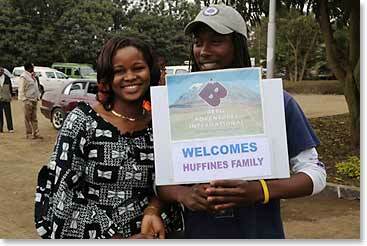 At 12, Russell will be the youngest BAI team member to ever attempt Kili. Like the rest of his family, he knows that the challenge is big, and that the mountain will get the last word. The most important thing is that we stay smart, safe and that we all come down. But he is determined to give it a try! 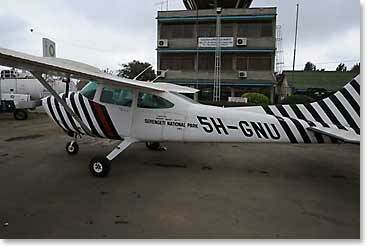 We were struck by the number of intriguing small planes that we saw at both Wilson and Arusha airport. They made one think of adventure! We especially liked this Zebra stripped one! Sometimes things just work out! 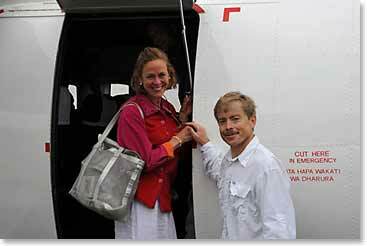 Mary Catherine and some of the other family members had expressed interested in attending a Sunday Mass at a Catholic Church in Arusha when we arrived. 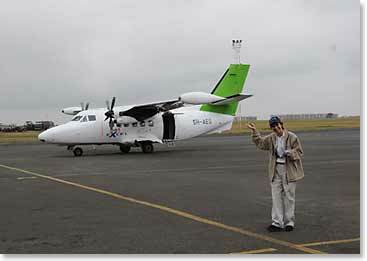 By the time we had left the Serena Hotel in Nairobi, cleared Kenya Immigration, entered Tanzania and visited three different airports on our charter flight, the day was getting away. 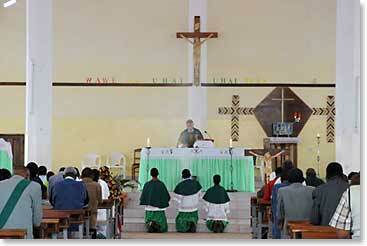 But as luck would have it, we drove past a church near the Arusha airport where mass was still being held. 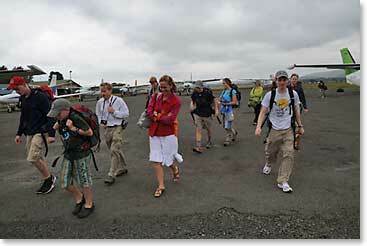 We stopped and went in, where we found a welcoming congregation. The music was beautiful and it was a relaxing and comfortable time for all. Along with the warm greeting by BAI staff at the airport, this experience made us all feel that we'd arrived in a place where we would be very much at home!